Dehahuit was the great chief of the Caddo Indians who lived in what is now southwest Arkansas, western Louisiana and eastern Texas in the early 19th century. As his tribes were positioned on the disputed border between Spanish-held Mexico and the United States, Dehahuit became a shrewd diplomat. He was skilful at playing the Spaniards and the Americans off against one another. Dehahuit aimed to gain the best gifts, trading terms and protection from each, as well as respect for the independence and integrity of traditional Caddo lands. 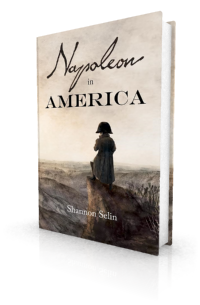 In Napoleon in America, Dehahuit hopes to obtain the same concessions from Napoleon. Dehahuit repeatedly complained to Sibley about the intrusion on Caddo lands by American settlers and immigrant Indian tribes. He complained about the raids being committed on the Caddos by the Osages and the Choctaws, who were based in the United States. Dehahuit also wanted Sibley to stop American traders from giving whiskey to his tribesmen. Whereas the French and the Spanish rarely offered alcohol in their exchanges with the Indians, the Americans showed no such restraint. This resulted in a drinking problem among the Caddos and other tribes. Though Sibley was sympathetic, he was unable to stop this. Dehahuit used his influence to persuade other Indian tribes not to support the British against the Americans during the War of 1812. By the end of the decade, however, Dehahuit had become less friendly towards the United States. 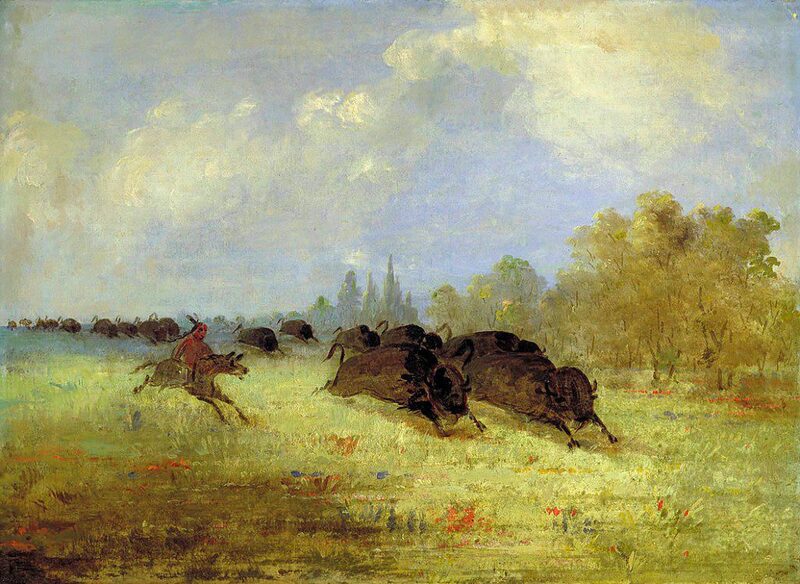 Americans and other Indians continued to move onto Caddo land. Dehahuit tried to establish a pan-Indian confederacy to strengthen his bargaining power with the United States. However, the immigrant Indians had no desire to put themselves under his leadership, and the Americans did not regard the alliance as a deterrent. When the Cherokees under Chief Duwali migrated into northeast Texas in 1819, they settled on land claimed by the Caddos. As more Cherokees arrived, they claimed to be the spokesman for east Texas Indians. Dehahuit regarded this role as his own. The two nations grappled for power. Dehahuit and the Caddos lost ground. As American settlers and land speculators carved up western Louisiana and Arkansas, the Caddos found their land being taken from them. Dehahuit died in March 1833. His successor possessed little of Dehahuit’s power and charisma. Two years after Dehahuit’s death, the US government pressured the Caddos into giving up their claims to land within the United States (approximately one million acres) in exchange for $80,000: $30,000 to be paid in good and horses, and $10,000 in cash every year for five years. The Caddos received very little of this. The treaty bound them to move outside the borders of the United States. Most moved to east Texas, where they found themselves outnumbered by the Cherokees and distrusted by the Anglo-Texans. To learn more about the Caddos in Louisiana, read “5 Ways to gain a glimpse in Caddo Nation’s influence” in the Shreveport Times. Mattie Austin Hatcher and Juan Antonio Padilla, “Texas in 1820,” The Southwestern Historical Quarterly, 23, No. 1 (July 1919), pp. 47-48. Julia Kathryn Garret, “Dr. John Sibley and the Louisiana-Texas Frontier, 1803-1814 (Continued),” The Southwestern Historical Quarterly, 47, No. 4 (April 1944), p. 389. Julia Kathryn Garret, “Dr. John Sibley and the Louisiana-Texas Frontier, 1803-1814,” The Southwestern Historical Quarterly, 45, No. 3 (Jan. 1942), p. 300. Julia Kathryn Garret, “Dr. John Sibley and the Louisiana-Texas Frontier, 1803-1814 (Continued),” The Southwestern Historical Quarterly, 49, No. 3 (Jan. 1946) pp. 426-427. Thanks for enlightening me on a historical personality I’ve never heard of before. There are heroes among the Indians who never got the recognition they deserved. Thanks, Ann Marie. I’m glad you enjoyed the post. It is a shame that Dehahuit is not better known. He did a good job for his people. It’s sad how they were taken advantage of after he died. This man is a very important character & his nation generally well behaved people, & the nations to the West as far as River Grand almost entirely under his influence.